Sun. Surf. Stars. Serenity. 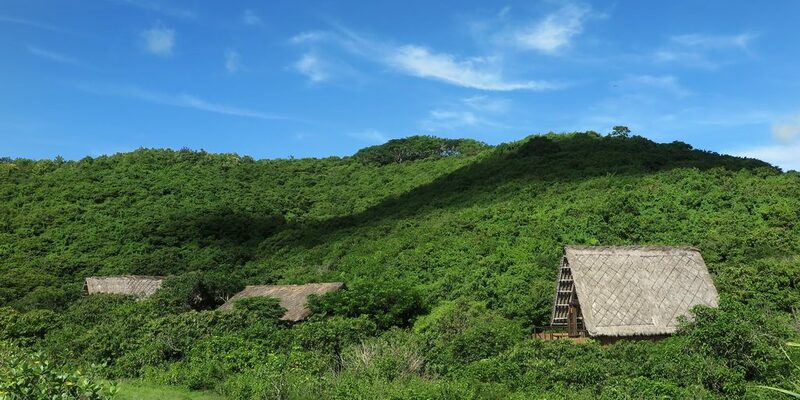 Find it all at Jeeva Beloam Beach Camp, “The Soul of Beloam.” Here, discover one of the few untouched places in the world where you can truly return to the rhythm of life. At Jeeva Beloam, Robinson Crusoe meets modern times in our recycled wood and alang alang-topped beachfront berugas to create a boutique chic beach camp experience. 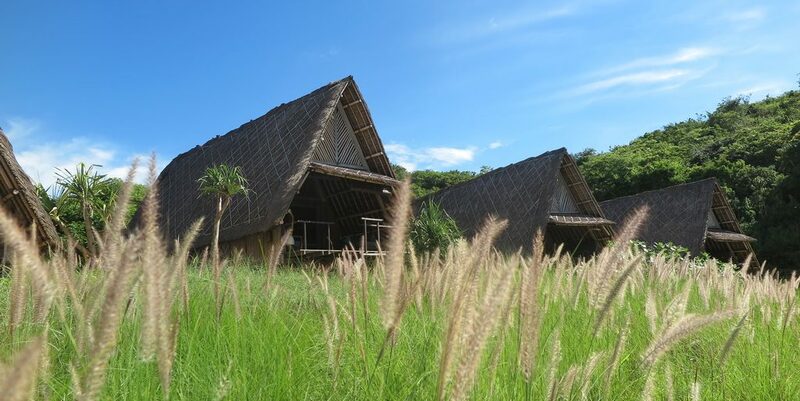 The camp is on the eastern edge of Lombok’s Tanjung Ringgit peninsula near Ekas Bay with its world class diving and surfing opportunities. Our guests enjoy an easy walk to Teluk Temeak for snorkeling, diving and other water sports. Diving for advanced divers is also possible outside the Jeeva Beloam cove and along the cliffs of Tanjung Ringgit facing the Alas Straits. Due to the isolated nature of the camp, lodging at Jeeva Beloam Beach Camp is all-inclusive with accommodation including all meals, coffee, hot tea and iced tea, juice, lemonade, fruit punch and water. Soda and alcoholic beverages are charged separately. Please note that our beach camp is truly ‘off the grid’ with no WiFi available in the area. Our dedication to environmental stewardship and support of local communities and culture through responsible tourism is reflected in every Jeeva Resort. Beloam’s daytime electrical needs are supplied by solar power, with recycled rainwater used wherever possible. Please note that our beach camp is truly ‘off the grid’ with no WiFi available in the area. Rooms and grounds are thoughtfully and spaciously designed for intimate luxury ensconced in stunning natural settings. Beloam’s berugas are designed for maximum privacy and intimacy. We are committed to ensuring the finest guest experience with service marked by Jeeva’s gracious hospitality. Tenda’s casual, beachfront dining experience offers a mostly communal-style concept with open menu for breakfast and lunch consisting of a mix of Western and Asian breakfast favorites and a regularly rotating dinner menu. All meals are created from locally sourced and freshly available ingredients making each meal truly one-of-a-kind. Our eleven berugas are a unique blend of rugged sensibility and the comforts of modern convenience, plus natural beauty. The indoor-outdoor living quarters allow guests to awaken each morning with panoramic views of the ocean giving them a divine taste of beachfront ‘glamping’ at its finest. Pustaka is the perfect setting to laze and enjoy a peaceful moment exploring the exchange library of novels or leaf through reference books on the history, art and culture of Indonesia. Dive into the picturesque views of Jeeva Beloam. 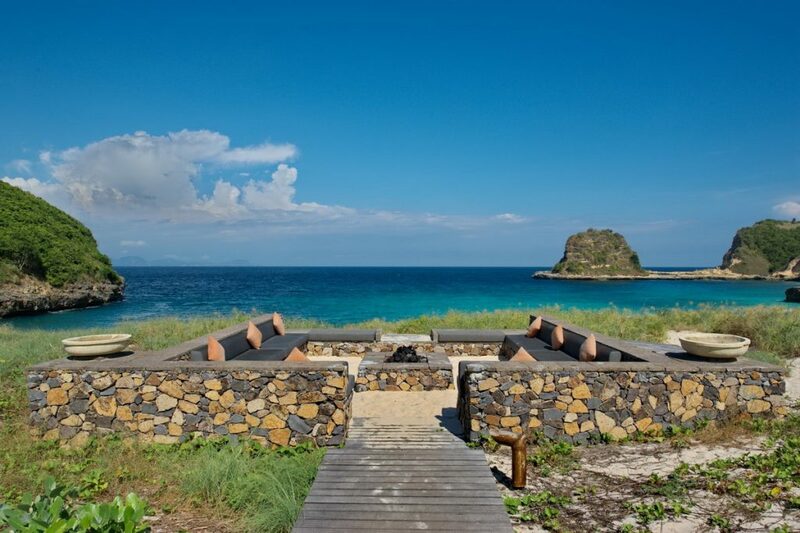 The shore gracing Jeeva Beloam’s property has been voted one of Indonesia’s most beautiful beaches. Harper’s Bazaar, UK 2014 named Beloam’s beach as one of The World’s Top Ten Best Beaches. 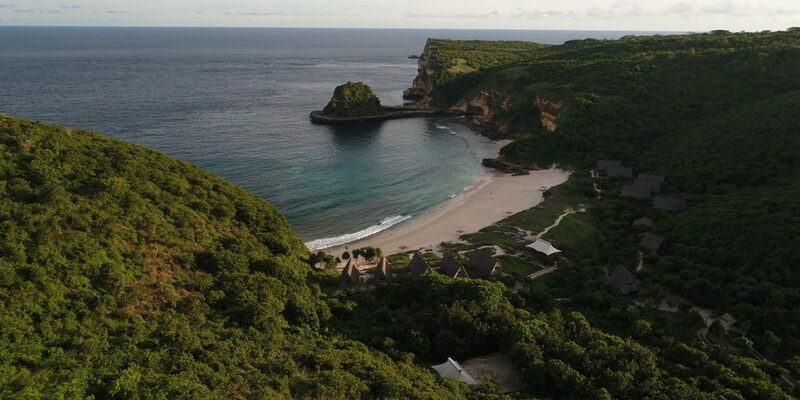 Our second beach, Hidden Beach, is another private paradise for our guests. Experience for yourself our peaceful spots for swimming, sunbathing, and taking in some of Indonesia’s most spectacular sunrises.